There are designated parking areas for motorcycle/moped monthly parking at the following locations: International Parking Garage in the basement level at the center of the garage. MONTHLY PARKING ONLY. Motorcycle/moped parking by the hour/day is available in Terminal 1 Parking Garage in the Northeast corner on the fourth level. Hourly/Daily only parking rate is $1.00 for 2-hours and $5.00 maximum per day via payment box. 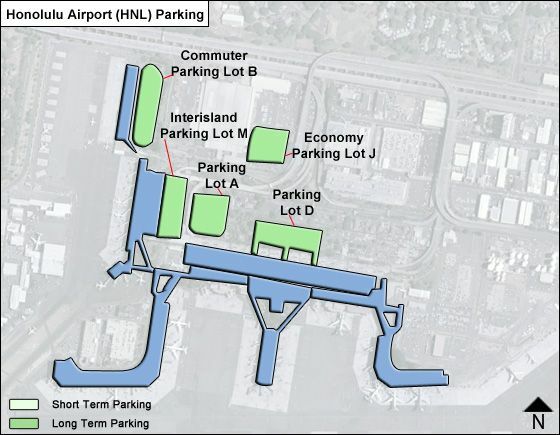 NOMONTHLY PARKING is available in Terminal 1 Parking Garage. How much to park for 5 days? What is the vehicle height limits for airport parking garages?